Link Puerto Rico is creating accessible educational and business support content in STEM. Link Puerto Rico is a nonprofit organization that educates, supports, and trains individuals and companies on STEM-related topics through education and community co-creation. By curating, creating and customizing content, developing online and offline informal learning environments, and organizing community outreach events we promote long-term capacity-building and sustainable economic development in Puerto Rico and around the world. Since January of 2018, Link has organized many types of events including workshops, hackathons, talks, panels, and social events, which are open and accessible to all the community across all Puerto Rico without discrimination because of gender, ethnicity, race, sexual orientation, religion or any other condition. Our mission is to curate, create and distribute educational and business support content related to STEM through meetups, hackathons, university chapters, workshops, community support, and digital content. Our vision is to transform Puerto Rico into a worldwide leader STEM (Science, Technology, Engineering, Arts & Culture, and Mathematics) ecosystem through education and community co-creation. Starting in January of 2018, Link has produced many kinds of different events related to STEM that impacted over 3,000 people which had over 50 guest speakers. Also, Link Puerto Rico has already produced 4 hackathons (EduBlock Hackathon, Hacking Democracy, Destino Hack, and Hack for Puerto Rico) with overall prize money of $80,000, over 200 participants, over 30 projects where founded, and approximately 6,000 collective programming hours (full 2018 Link Puerto Rico Impact Report). 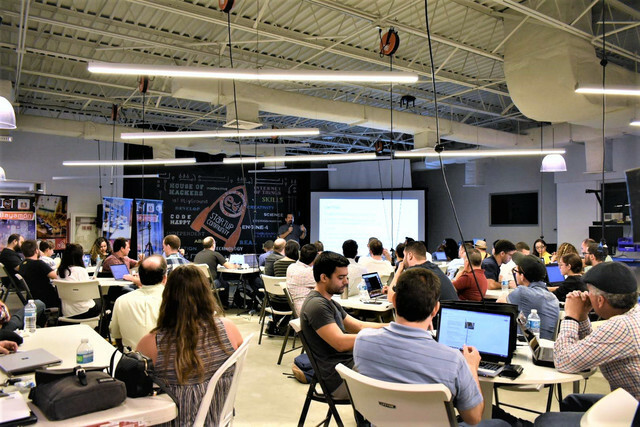 In 2019 Link Puerto Rico will continue to host workshops, hackathons, talks, social events, and many other new and innovative event formats. Looking into Link's long-term vision we are going to start to release various open-source curriculums on different STEM-related topics such as virtual reality, artifical intelligence, business technology, blockchain, coding, web development and many other topics that will be available for free. These curriculums will be distributed throughout all the Link University chapters that we have created and will continue to create across all Puerto Rico, and physical learning centers and makerspaces that we are establishing across Puerto Rico in low resource communities. 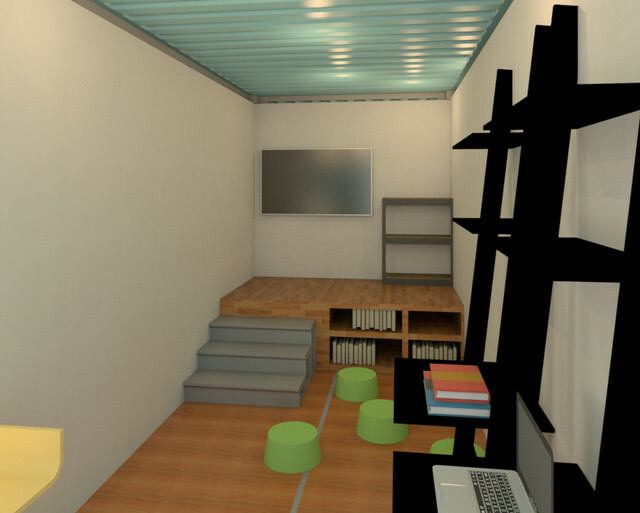 These makerspaces will be built in partnership with HiveCube, which is a Puerto Rican startup, and Libraries Without Borders, which is an international nonprofit that created the Ideas Box, through shipping containers that will be fully mobile, hurricane resistant, resilient, and sustainable. Join us on our journey to convert Puerto Rico into a worldwide technological superpower! Like the hash, your contribution is essential for Link Puerto Rico to be sustainable and to help us educate thousands of Puerto Ricans every month on blockchain technology related topics. A hash is the fingerprint of some digital data that is inside of every block of the blockchain. It is one of the most basic components that make up the blockchain, yet without it, the whole platform would not work. Exclusive early access to all of our curriculums and content. Each block donation helps Link Puerto Rico organize premier quality events and workshops which are the foundation of our blockchain education efforts on the island. A block is quite similar to the hash, except that it contains more information such as the hash, block number, nonce, and digital data. A block is a fundamental component that when grouped together with other blocks make up the blockchain. Once a month private Q&A session with the Link Puerto Rico team. Help Link Puerto Rico go beyond organizing premier quality events and workshops to build free blockchain curriculums and courses for Puerto Rican students and the world (including you). A blockchain is a digital ledger in which transactions made in bitcoin or another cryptocurrency are recorded chronologically and publicly. A blockchain is basically many blocks that are linked together to form a single blockchain. It is the result of many components, such as the hash and the block, that when put together form what we know as blockchain. Become an official sponsor for our monthly social event, called Beers & Blockchain, and workshops. Link will begin producing its biweekly podcast where we will discuss all about blockchain technology and how it is being implemented on the island.